What are the Employment Laws for breaks in San Francisco? California employment laws require that all employers allow their employees to take breaks throughout their shifts. Every employee is entitled to a 10-minute break after every four hours of work. An employee who is scheduled to work more than five hours is entitled to a meal break of at least 30 minutes. This is a state law, but it applies to every person in every city in California. The federal government does not require employers to offer their employees lunch breaks and coffee breaks. Not every employer will allow employees to take these breaks, but when this occurs, the employer is required to compensate you for this. If you are not allowed your 30-minute meal break, your employer is required to pay you one hour’s salary for each day that this rule was violated. If your employer refuses to allow you a rest break, you can also receive one extra hour of pay to compensate for each occurrence. Your employer is required to give you the meal break in the middle of your shift. You also deserve one rest break before that time and one rest break after meal time. If you wish to leave the premises, your employer is not allowed to stop you. While you are enjoying your break time, your employer can’t ask you to do any work. You are also free to skip any of these breaks if you prefer, but your employer must not force you to do so. When you are not allowed to take breaks at work, your work performance suffers. A study done at Baylor University demonstrated this fact. According to the study, employees who took breaks throughout the day were happier in their jobs and were less emotionally exhausted. They were also more willing to take on extra challenges during the workday. Those who did not take enough breaks did not feel as if they had as much energy as they needed to complete their days. If they took breaks, they were motivated to go back to their jobs and complete the tasks that were waiting for them. They also noticed that they could concentrate better. Employees who were allowed to take breaks also felt better physically. These people complained of eye strain, backaches and headaches less often than their counterparts who did not take breaks. Not taking breaks also affected employees financially when they were not receiving the compensation that they were entitled to receive. If your employer is violating your right to take breaks while you are on a job, you must contact a San Francisco employment attorney right away. The Cartwright Law Firm specializes in employment law, and we are prepared to prevent your employer from taking advantage of you any further. It can be difficult for you to fight your employer alone, and you shouldn’t have to do that. When you hire our firm, you will have a San Francisco employment attorney who will ensure that you are not punished for filing a claim against your employer for this matter. If you need more information on employee break laws, you can visit All Workers Have Rights in California and The California Chamber of Commerce. 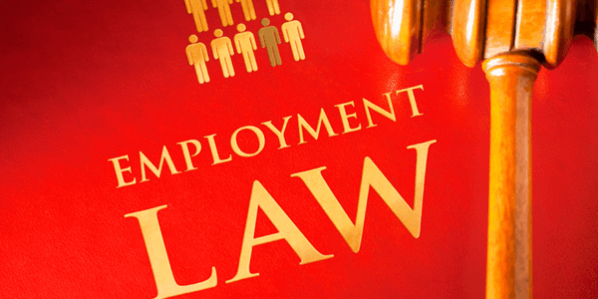 What do the main Employment Laws cover?